Nikki, who was previously engaged to Season 18's The Bachelor star Juan Pablo Galavis, and her husband Tyler VanLoo, have reportedly split after two years of marriage, Us Weekly reported. According to a source, the spouses are "done" and had been "on the rocks" ever since their wedding. Nikki, 32, married Tyler in October 2016 in Kansas City in front of family and friends, including tenth-season The Bachelorette star Andi Dorfman, who served as a bridesmaid after the girls met on Juan Pablo's edition of The Bachelor. "I had dreamt of this day for my whole life. It could not have been more perfect. It was something straight out of a fairy tale," Nikki captioned an Instagram photo of the newlyweds at the time. 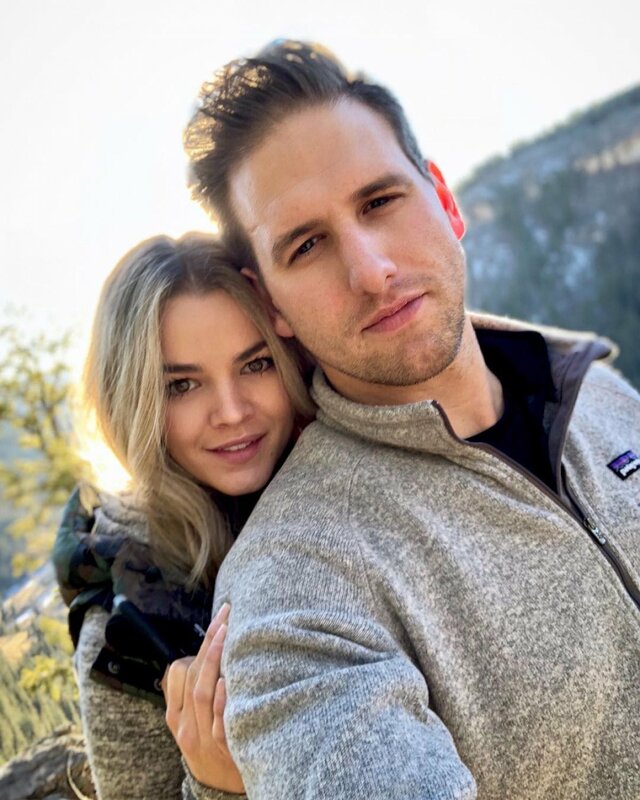 The pediatric nurse no longer follows Tyler on Instagram, and the last photo she posted posing with her husband on the social media platform is from January 2018. However, a man that appears to be Tyler is visible in the background mirror of photo Nikki posted in July 2018 showing off her outfit in a hotel room bathroom during a trip to Las Vegas. In recent photos, Nikki is also not wearing her wedding and engagement rings. As for Tyler, the last time he shared anything about Nikki on Instagram was in February, when he captioned a series of photos, "Such a babe... happy V-day" on Valentine's Day. Nikki and Tyler got engaged in January 2016 during a snowboarding trip the pair took to San Juan National Forest in Pagosa Springs, CO. Prior to getting romantically involved with Tyler, Nikki endured a highly-publicized and criticized relationship with Juan Pablo following the finale of his The Bachelor season in March 2014, which featured an anti-climactic ending in which Juan Pablo told Nikki, "I like you," and offered her nothing but his final rose. After appearing on VH1's Couples Therapy, Nikki and the former pro soccer player split in October 2014. Reports circulated at the time Juan Pablo couldn't communicate his feelings for Nikki and allegedly used her for the fame of their celebrity pairing. "I knew I was never going to be the No. 1 priority, like, he has a daughter. But I mean, there's a difference between being the second priority and the seventh priority. We're just different people and... we just never saw eye to eye on [things]," Nikki told Chris Harrison back in January 2015. "It's not from a lack of trying on either side. I tried really hard and he tried hard too... It's just, I'm a nurse in Kansas City and he lives in Miami, and he's in the entertainment industry... It was just really hard for me to fit into that." Many The Bachelor fans strongly disliked Juan Pablo during his season for how he treated the women, and those negative opinions spilled onto Nikki for choosing to be with him despite those obvious flaws. "No one prepares you for what's going to happen on the show and being in the spotlight... I wanted everyone [to] be happy for me, and I felt like [our situation] was misunderstood for a lot of reasons... the hurtful things that people said to me, it's just no one can prepare you for that," Nikki added in the interview with The Bachelor host. Juan Pablo, however, did potentially find lasting love. He tied the knot with Venezuelan beauty queen, Osmariel Villalobos, in Miami, FL in August 2017.